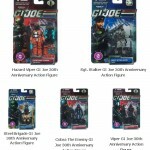 Toyark Sponsor Past Generation Toys has provided us with an update. They have received the 30th Anniversary G.I. 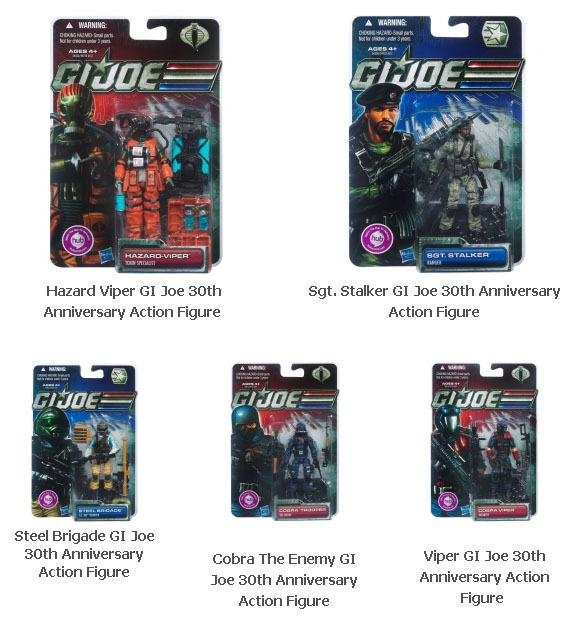 Joe figures and they are now in stock. Too bad they have been found at retail for a while now. I have only seen Hawk. I guess I'm getting ther to late. Hawk's not even in the 30th line but he's one of the best in the new line of POC and 30th. I'd recommend picking him up if you havent. He's also an awesome troop builder. I really want a Steel Brigade figure, but so far all I've found is Iron Grenadiers, 1 Hazard Viper, 1 Viper and 1 Sgt. Stalker. Still going to wait before going online for it. Apparently, there aren't that many troop builders in my area, as almost all of the various Cobra soldiers pegwarm at some point. There's only 1 Walmart in my area that even seems to get any of those guys.